Are you looking for some freshly baked pizzas with authentic Italian flavors? 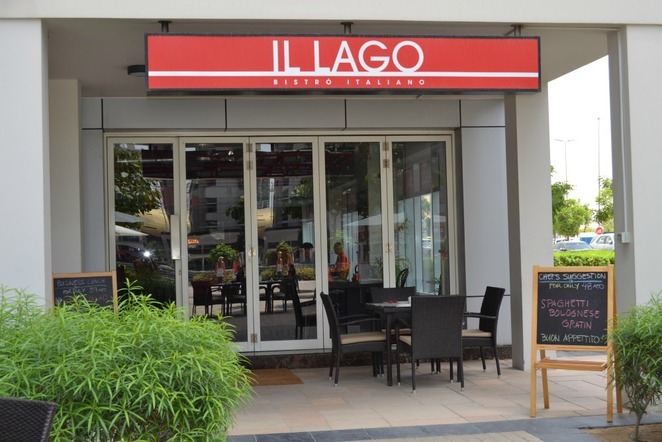 Then, Il Lago Italian Bistro, located at the Jumeirah Lakes Towers is definitely the place for you! The atmosphere is quite vibrant with bright red interiors and amiable staff to cater to your needs. 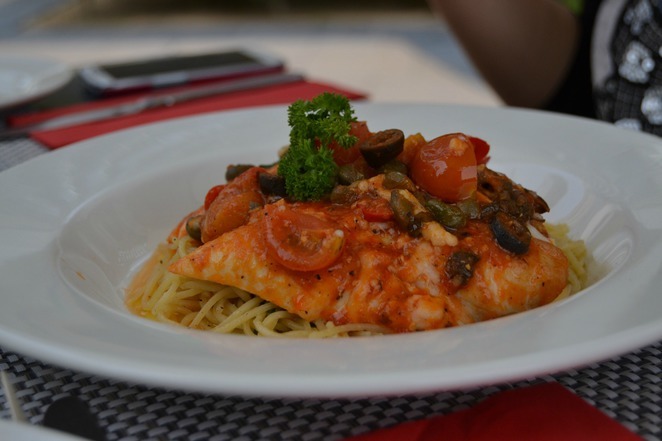 Pizza, pasta, risotto, seafood main courses or indulging desserts such as Tiramisu - you name it and IL Lago has it on the menu to satisfy your Italian cravings. The Margherita pizza is my favorite with thin crisp crust and generous topping of cheese. If you are fond of pasta, the Fusilli Quattro Formaggi (four cheese with cream and fresh basil) with a thick creamy sauce is definitely a top pick or you can choose the spaghetti bolognese or the chef's recommendation of the day. 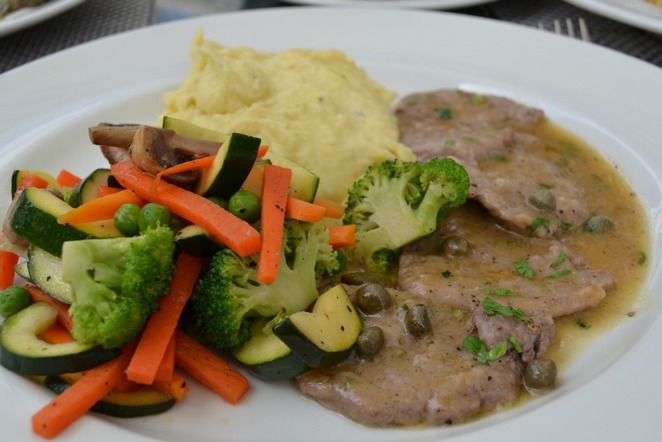 The highlight of their menu is the Scaloppine Di Vittelo Al Limone E Capperi - tender veal tossed with fresh lemon juice, capers and thyme, served with mashed nutmeg, mashed potatoes and steamed vegetables. Just squeeze the lime on the side to enjoy this light and fresh main course. For seafood lovers, the menu includes pan fried fish with steamed vegetables and salmon. Since Jumeirah Lake Towers includes numerous offices, the Italian restaurant is packed with customers during lunch hours. Considering this, Il Lago offers "Business Lunch" menu which includes a two-course meal, usually a salad and main course. As you place your order and wait for your food to arrive, you can enjoy the complimentary fresh bread and salsa. Just a tip - if you like some extra cheese with your food, just ask for some mozzarella shavings for your topping! Ideal for romantic dinner in winter with candles lit up in an outdoor setting, the indoor setting is equally amiable and comfortable for a summer afternoon. But, just make a note of the restaurant timings - it usually closes, earlier than most restaurants, at 10pm. As I sign off, I would just say - head out to Il Lago if you are looking for pure Italian cuisine indulgence! So tasty it should be il lago?